The Africa Business: Health Forum (AB:HF) 2019 will bring together African governments and business leaders to devise innovative solutions to healthcare in Africa. The AB:HF 2019 aims to strengthen partnerships, promote an ongoing dialogue between the African private and public sectors, and foster opportunities for the private sector to contribute towards the collective efforts of key stakeholders in strengthening national health systems in Africa. Healthy populations matter for Africa’s long-term growth and sustainable development, and can be an avenue for economic gains through raised productivity, job creation and reduction of inequalities. 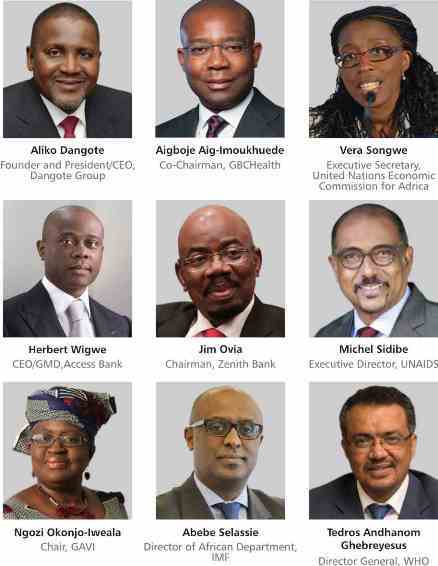 The Africa Business: Health Forum 2019 is being organized by GBCHealth, Aliko Dangote Foundation and United Nations Economic Commissions for Africa and African Business Coalition for Health (ABC Health).